Wrenching progress was delayed this week. 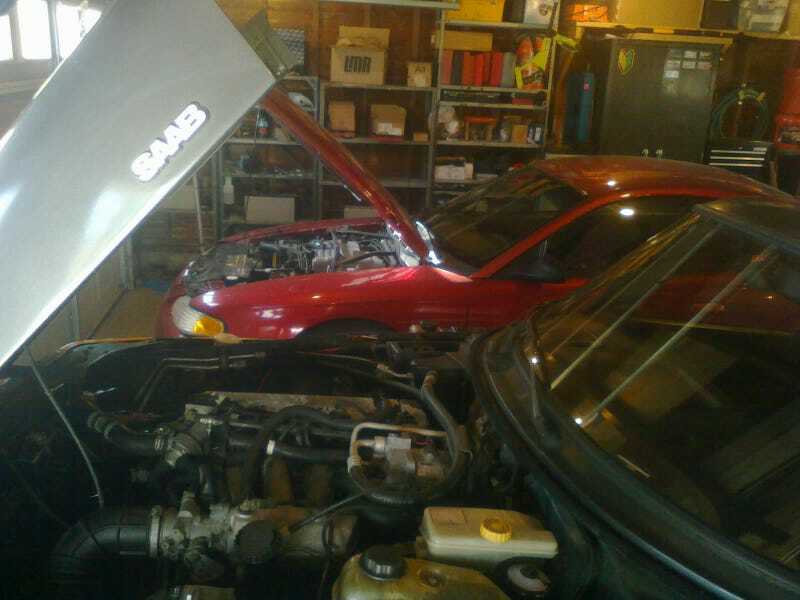 Thanksgiving might have had something to do with it, but the real reason is that we decided to focus our energies on making some room for the Saab in the garage. Totally worth it. Hopefully this car won’t turn into an all-winter project, but at least there won’t be any more rain delays. Is this regulator going to be a problem?